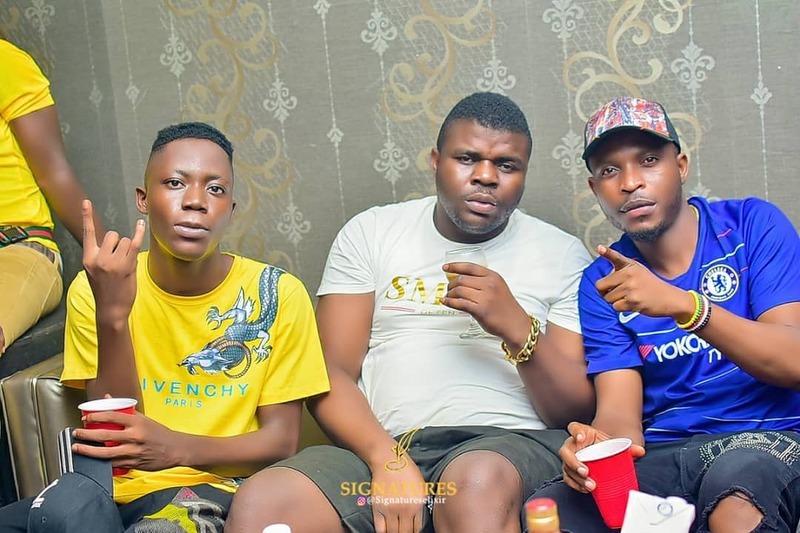 In what is termed “Unusual”, The official Club Dj of Foremost Night Club 02 Base and two time OSMAs winner Dj Bobwhy was spotted well in the balling spirit at another Club! Signatures!! Wawu! Dj Bobwhy who has been with 02base for quite a while now decided to go taste the balling spirit at Signatures, I think. which sounds so funny. He was spotted alongside Night Life King Oba Bombay amongst other ballers.